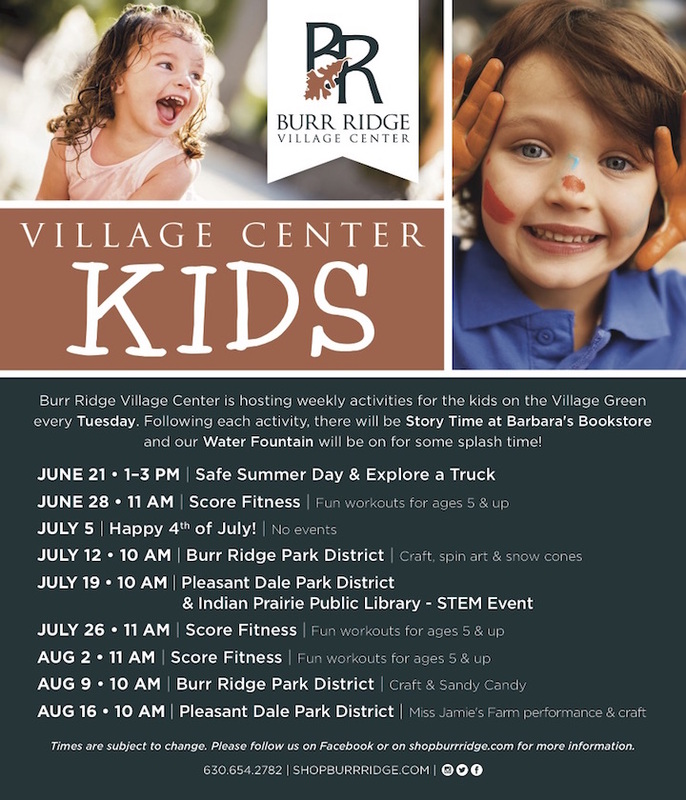 Burr Ridge Village Center is hosting free weekly activities for kids on the Village Green on Tuesdays this summer! Following each activity, there will be Story Time at Barbara’s Bookstore and the water fountain will be on for some splash time. Have you ever gone to the Burr Ridge shopping area and let your kids run and play in the fountain?! It’s so much fun we’ve included it on our splash pad list and how awesome that you can also enjoy these great kid-friendly events at the same time! 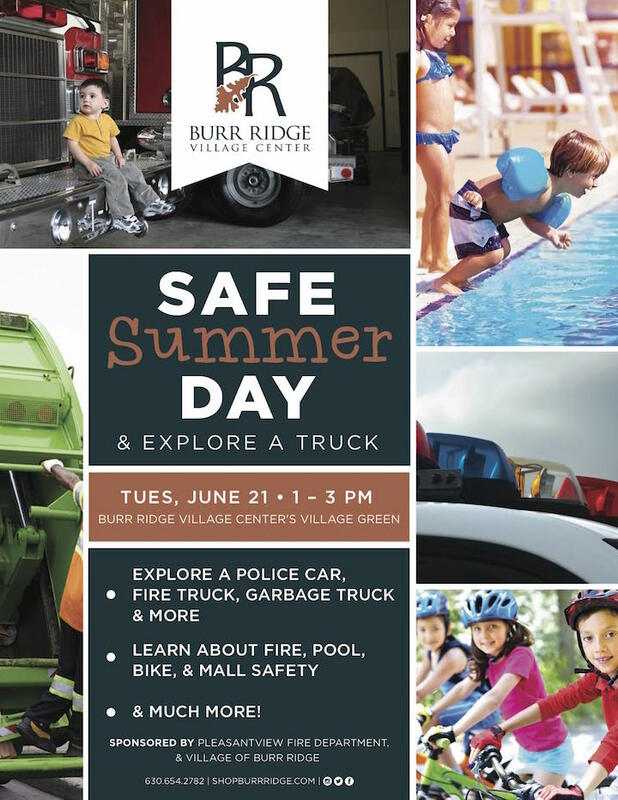 They are kicking off their summer of kids activities with a Safe Summer Day + Explore a Truck on Tuesday, June 21, 2016 from 1-3pm. There will be a police car, fire truck, garbage truck and more for your kids to check out. Learn about fire, pool, bike, and mall safety while exploring trucks! And the fun continues throughout the summer, every Tuesday (except July 5 because of the 4th of July holiday). Here’s a breakdown of all of the Tuesday Village Center Kids activities so you can mark your calendars! The following events have also been added to the kidlist calendar for your convenience. *Please note there will not be activities on Tuesday, July 5. Happy 4th of July! This post brought to you by Burr Ridge Village Center. Be the first to comment on "Kids Activities in Burr Ridge Every Tuesday"